Here in Disneyland with Kids we want to help you make magical memories with your family, at Disneyland but also at home. Some of my most memorable memories at Disneyland are when I have made a little magic for someone else. 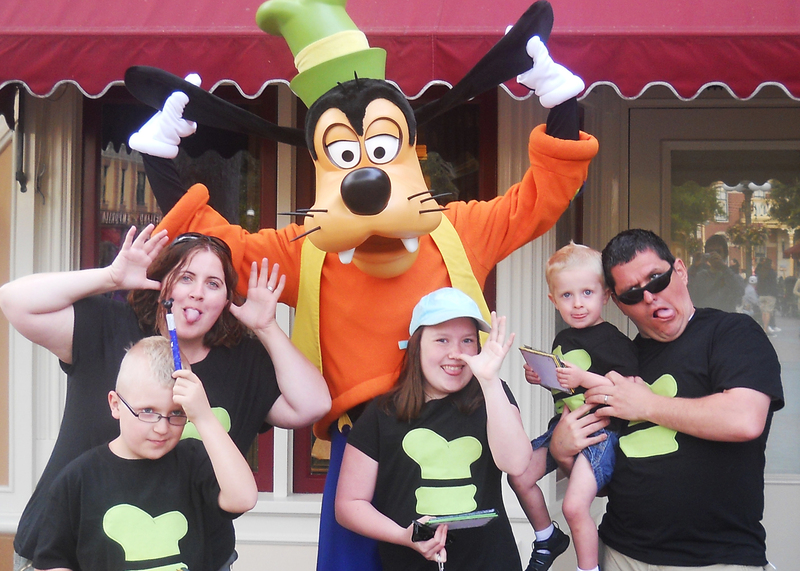 This year, the founders of Disneyland with Kids want to create a movement in our community. A movement where we all make an effort to spread a little cheer and “Be The Magic” in someone else’s day. The world can always use a little magic, but sometimes it is hard to think how you can be the magic for someone else. So here at Disneyland with Kids, we want to give you a little help in coming up with ways to spread some magic to others at Disneyland and at home. 1) Pass along a balloon. 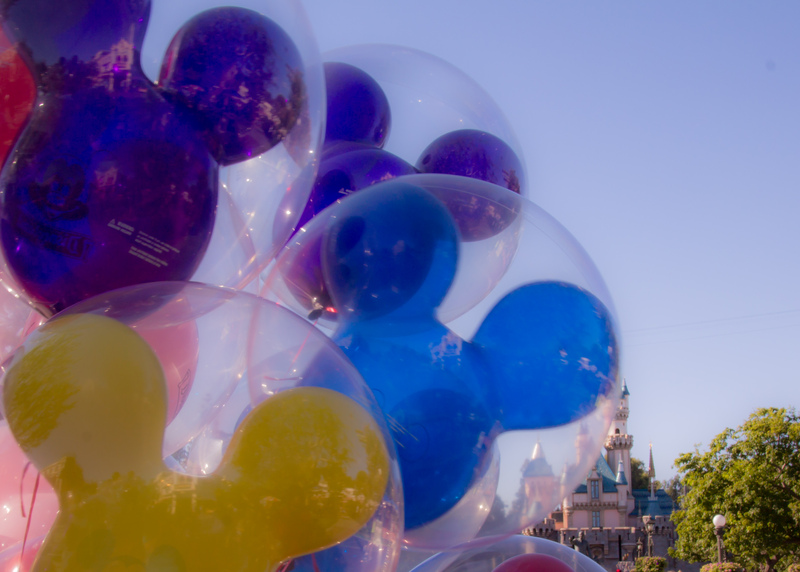 A tradition for many families is to purchase a Disneyland balloon and then at the end of their vacation, pass it on to someone else as they leave the parks. This is a great idea, especially if you may not have room to take the balloon home because you are flying or your car is full. It spreads a little cheer to those other families and will make you feel good. It is hard to believe but simply smiling at other people, especially those that resemble the dwarf Grumpy, can be the magic in someone’s day. Smiling can brighten someone’s day and turn a cruddy day around. That might be what turns Grumpy into Happy for the day. How many times have you seen stories of someone paying it forward by purchasing the coffee or the meal behind them in a drive thru? I think this is a great idea to do not only at home but at Disneyland. Buy a churro for the person behind you. I am waiting for the day I get to read about how all day people bought the person behind them a churro at Disneyland. It would make Disneyland even more magical and you can be the magic that starts it all. Disneyland Cast Members work so hard to help you have a magical vacation. If you have a cast member that does an amazing job, shout it out to them via twitter with hashtag #castcompliment and the name and location of the cast member. Most likely, Disney will contact you for more information within a few days in your direct messages. These compliments are shared with the teams at team meetings, and also go into the cast member files for when they have their reviews and are up for raises. It is something so simple that we can do that may have a big effect. And in turn, those cast members will work even harder to make more magic for guests. If you don’t have twitter – no problem. Stop by City Hall or Chamber of Commerce, or email guest services to shout out your cast member compliment. Take a bunch of shiny pennies and quarters and put them in the smashed penny machines throughout the park. How fun would it be for a parent with a kid begging for one to find those when they don’t have any coins on them. This is something you can do other places too. Our local zoo has smashed penny machines, as do many other zoos, aquariums and children’s museums. Maybe you run into someone who doesn’t understand MaxPass versus Fastpass. Or maybe you show someone how to utilize the Disneyland app or mobile ordering. Or you help someone figure out the fastest path to a ride. These little acts of kindness can really help others out and let you be the magic in their day. They help everyone enjoy Disneyland a little more. When you see a mom or dad taking a picture of everyone else in the family, offer to take the picture for them. It is so nice to have someone else offer this so you can get in the picture. And then take several pictures so that there is a better chance of everyone having their eyes open. Another guest was nice enough to take this pictures for us so we could all be in it. At the same time, don’t get upset if they turn you down. It could be they aren’t really wanting to be in the photo, or that cute couple really just wants to do a selfie shot. Don’t let it detour you from continuing to offer taking pictures for others. Before your vacation or outing to a local event, stop by a dollar store and pick up stickers or some glow sticks. Hand them out to other families where you can tell the kids are getting a bit anxious. Not only will it make the child smile, you might save the sanity of their parent. If you are at a local fast food restaurant or a quick service option at Disneyland, and see a parent trying to balance kids, pushing a stroller, and carrying a tray full of food – offer to carry the tray to the table for them. It is a much bigger help then you probably realize. Especially at locations that no longer put lids on drinks. A great way to be the magic is to participate in the Disneyland with Kids group on Facebook and help others when they have questions. In the group we like to focus on sharing our personal experiences to help answer questions. So if somebody is wondering about a certain character dining option, share your experience with it. Was it worth the money? Did you have good character interaction? 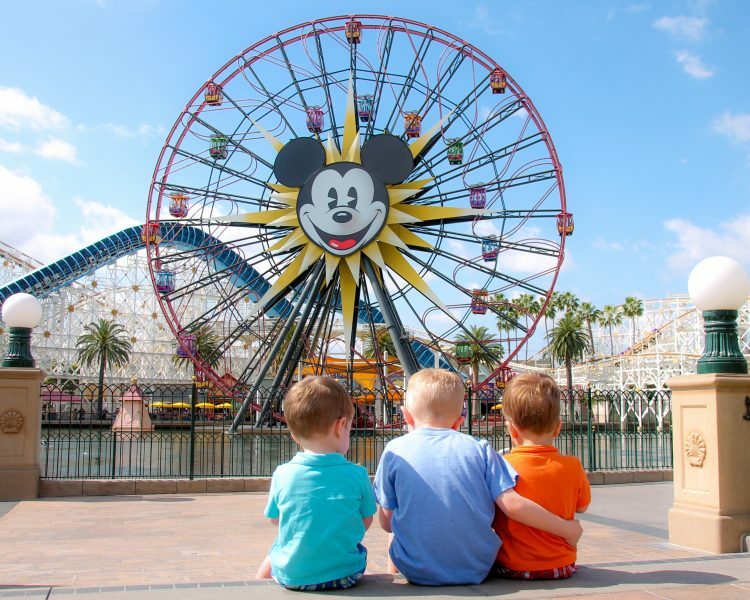 Helping answer other group members’ Disneyland questions will help them have a magical vacation and is just one small way you can be the magic for someone else. We want to be the magic for one of you! Here at Disneyland with Kids we thought the best way to encourage others to be the magic is to be the magic for one of you. So we have a special giveaway going on January 20 -24, 2019. To learn more about the giveaway and enter to win CLICK HERE. Thank you for offering the chance to win a trip to Disneyland!!! Good luck go all who enter!! !